Your vehicle is an investment, and at Utah Window Tint we can help you protect your investment. Vehicles exteriors take a lot of punishment during the course of a year from blowing dust and sand, insects, sunlight, and road salt. Because we are a 3M authorized dealer, we can provide you with an exceptional quality film to protect your vehicle. 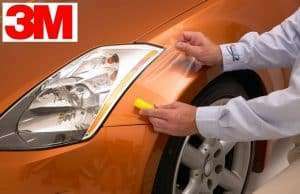 This film can be installed on virtually any of your vehicle's painted surfaces such as rocker panels, mirror backs, full hoods, and more! This application is not limited just to cars and trucks either. Our protective film can be used on RVs, boats, and even cell phones and iPads! Most vehicles can be priced over the phone.